4 images. 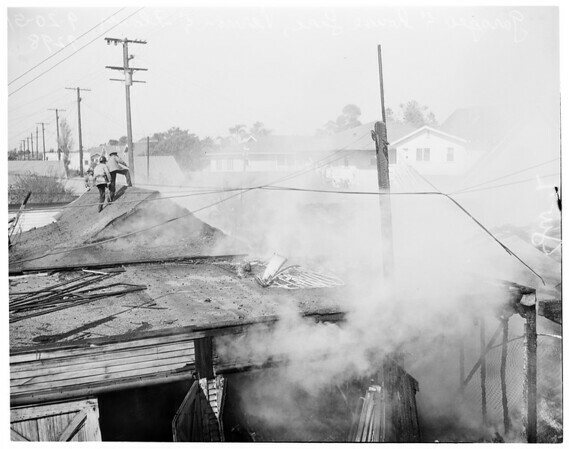 Garages and house burned, 20 September 1951. General views of firemen fighting fire in 6 garages and a small house, vicinity of Vernon and Flower Streets.